Albert Whitman & Company, 9780807566237, 32pp. Regina and her mom are busy preparing for her birthday party. It’s going to be a princess party with the perfect cake that looks like a castle and has ice cream cone towers. Regina is inviting all the girls in her class, including her best friend, Paula. Paula is excited, too, until she finds out about the cake. It will have nutty fudge brownies and peanut butter candies. 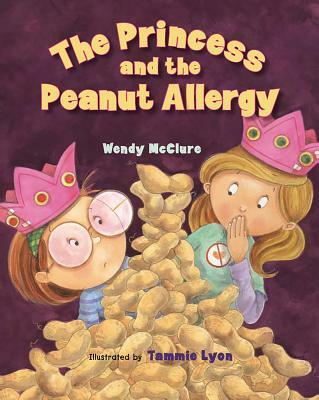 Paula can’t eat that cake—she can’t go anywhere near that cake—because she has a peanut allergy. Regina really wants her cake, and she and Paula fight about it. That afternoon they both go home mad. But that night, after Regina reads her favorite story, "The Princess and the Pea," she thinks more about her friend and the cake. The next morning she has a great plan that will please everyone.